After you have completed your PADI Open Water Diver Certification, you’ll be eager to continue your adventures in scuba diving. With so many incredible dive destinations to explore, you are bound to be making your very own ‘scuba diving bucket list’ filled with experiences and dive sites you hope to visit one day. 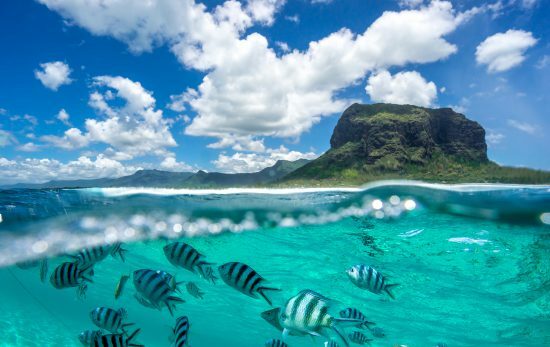 In this post we want to share some of the top destinations for new scuba divers to add to their list, to give you some inspiration of where to go for your next dive trip. The Maldives is an island paradise popular amongst honeymooners, bucket listers and divers alike. Most of the resorts you visit there can boast of their own islands, and every dive resort will have their own ‘house reef’. This is what makes the Maldives such a great place to visit for new scuba divers, as it is with such ease you can head out on a dive. Simply put on your gear and walk into the ocean and you’ll be exactly where you want to be. Find out more about diving in the Maldives in our online Scuba Guide. Thailand is a destination all new scuba divers should visit, as it has such a large selection of dive sites and dive shops, and attracts divers from all over the world. Divers of all ages and experience levels go diving Thailand, whether they are on holiday with friends or on a designated dive trip. 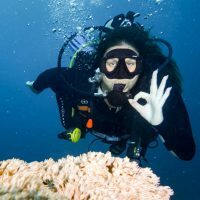 With so many options to go diving you are bound to meet some fellow divers in Thailand, and that’s one of the main reasons It’s a must-visit destination for new scuba divers. This is the perfect place to make friends in the dive community! Find out more about diving in Thailand in our online Scuba Guide. Another destination with lots of islands to explore for new divers is Indonesia. There are lots of different dive sites to visit, and regardless of what kind of experience you are hoping to get out of your trip, you can find it here. Whether you are dreaming of diving with mantas or checking off your first drift dive, there are lots of options in Indonesia. Find out more about diving in Indonesia in our online Scuba Guide. Mexico is popular destination for anyone wanting some well-deserved time off, join some epic beach parties, or eat their weigh in tacos. But the country also boasts of some incredible dive sites along both the Mexico Gulf coast and its Western coast. A trip to Mexico could be the perfect destination for someone who has recently passed their Open Water Certification, as the country offers a perfect opportunity to relax, enjoy the sun, experience local culture, AND visit some breath-taking dive sites and continue exploring the underwater world. Find out more about diving in Mexico in our online Scuba Guide. 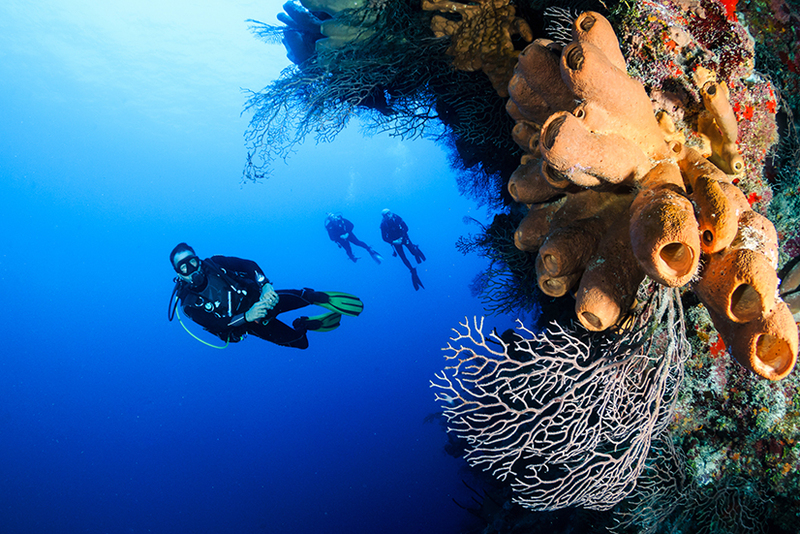 With an incredible variety of diving available this island nation has something for every new diver. Although a colder destinations that the ones above, in summer the water can reach over 15°C so diving in a wetsuit or semi dry is totally possible. 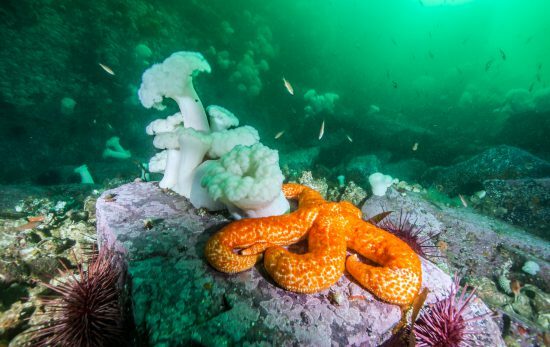 The sheltered bays of Cornwall offer shore dives full of colour and life, both big and small, or head to Pembrokeshire, renowned for its rich concentrations of marine life including blue sharks, dolphins, sunfish, rays, lesser-spotted catsharks, octopus, lobsters, conger eels, crabs, starfish and more. The UK is also the perfect place to advance your training – perhaps take the PADI Wreck Diver Specialty so you can visit the famous WWII wrecks at Scapa Flow, or try the PADI Advanced Open Water Diver certification before you head to Farne Islands to catch a glimpse of the playful seals. Find out more about UK diving in our online Scuba Guide.